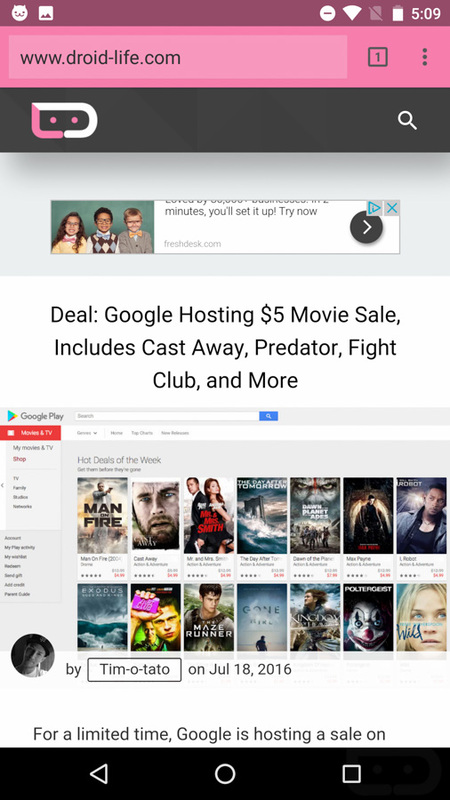 Earlier today, the Android N Developer Preview 5 dropped and brought with it a new Easter Egg, if you can call it that. At first glance, we brushed it off as being nothing more than a Nougat colored “N” set atop an emoji line-up that evoked Hodor and his name origin. If you say “No Cat” enough, you can see how that could become “Nou-gat” in the same way (SPOILER ALERT ON GAME OF THRONES) that “hold the door” became “Hodor.” Get it? Oh, but it appears to be much deeper than that. There may be Pokemon GO-inspired happenings here. 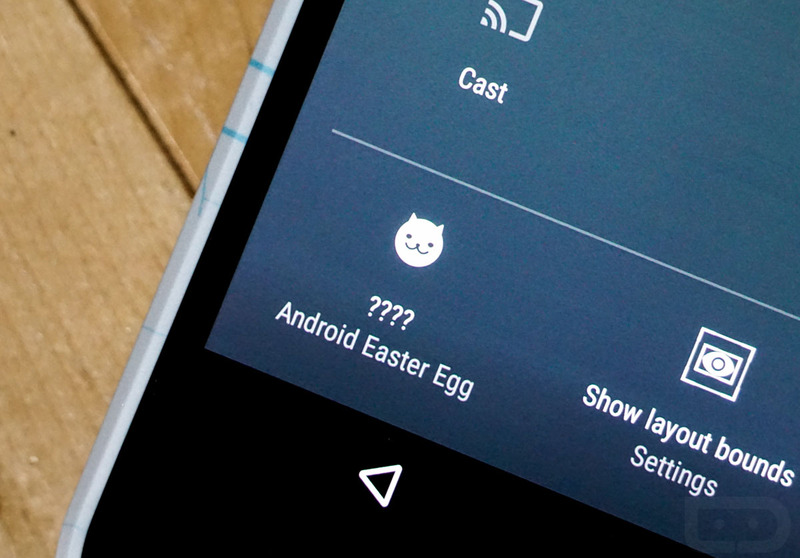 If you enter the DP5 Easter Egg area (tapping Android 7.0 in the About Phone section until the “N” appears), tap on the “N” a few times before long-pressing, you’ll see a cat? emoji appear below. If you long-press on it again, a no entry? or “no” sign appears. 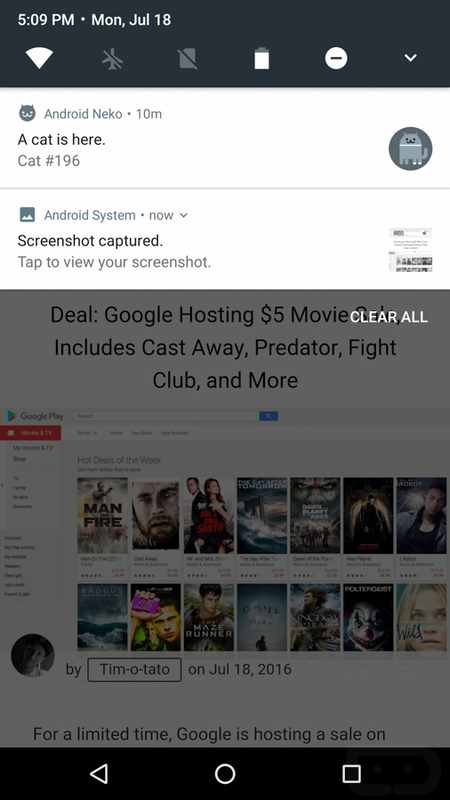 As it turns out, that’s more than “No Cat” and is instead toggling on and off a new notification quick setting for…cat catching! This is what we know for now, but we probably need your help in solving this completely. 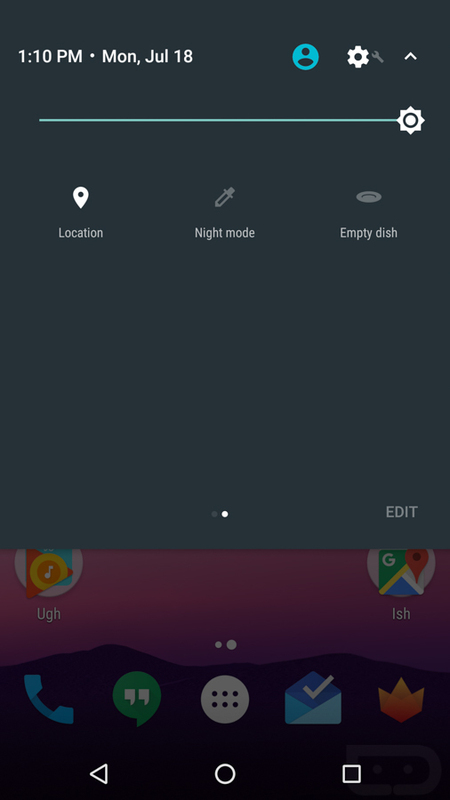 If you go into the Easter Egg and long-press to get the cat to appear, you will then want to pull down your notification quick settings edit menu. Assuming you pulled up the cat, you should see an emoji with a cat head and the text “???? 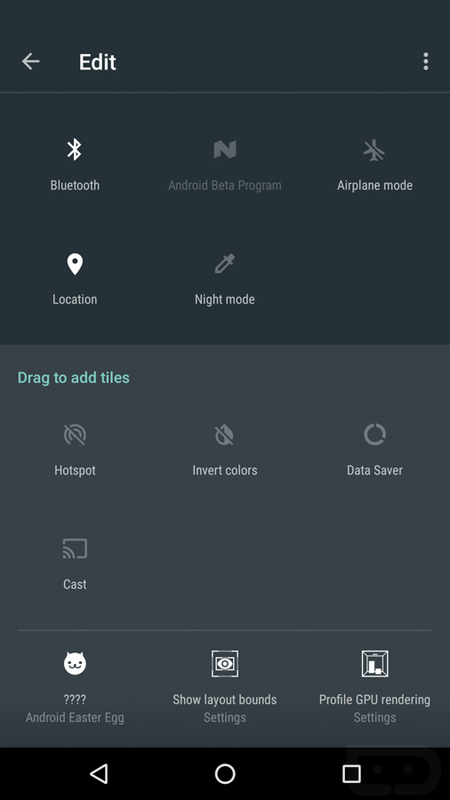 Android Easter Egg.” Move that into your list of quick settings tiles and back out of the edit screen. Once you have done that, tap on the cat or the “Empty dish” that appears in its place. 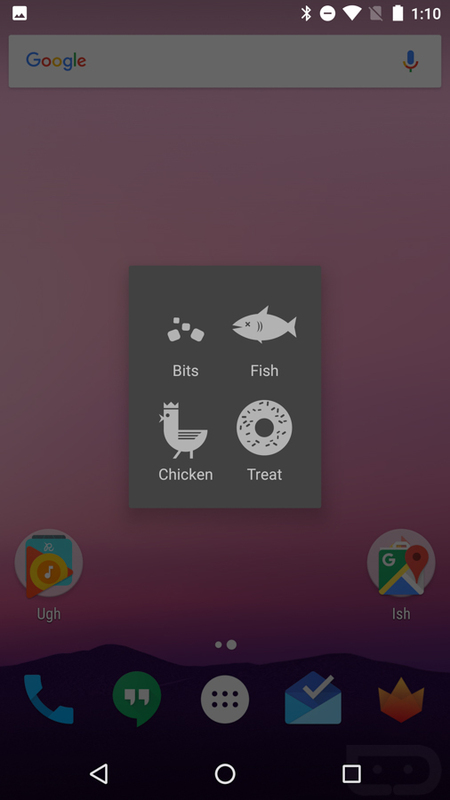 If you tap that, you’ll then see a pop-up box that offers you choices of Bits, Fish, Chicken, and Treat. Tap on any of them and they will take the place of the Empty Dish. We haven’t been able to catch anything yet, but our understanding is that those food items will help you lure in a feline friend. 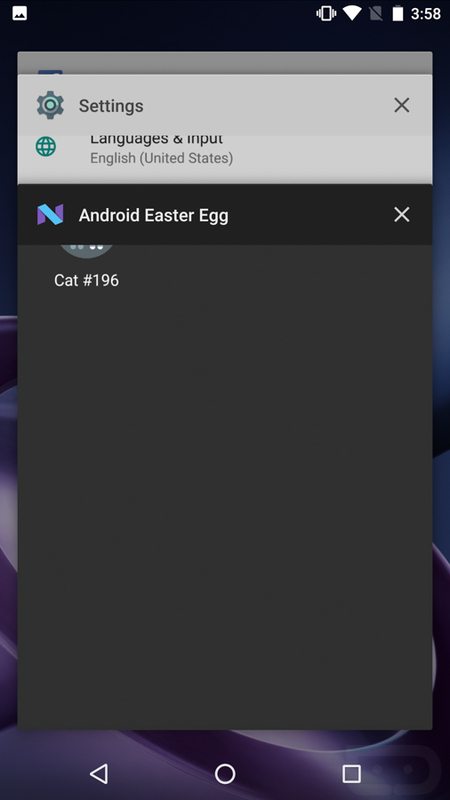 The reader who pointed out the Easter Egg said that he was prompted with a notification that said he had caught a cat, which was then listed in an Android Easter Egg UI as “Cat #196.” See below. Also, if you long press on the quick setting tile for this Easter Egg, it opens up a similar UI to that listing his captured cat. Unfortunately, our tasty treats haven’t been picked up yet by any cats and we have tried them all. 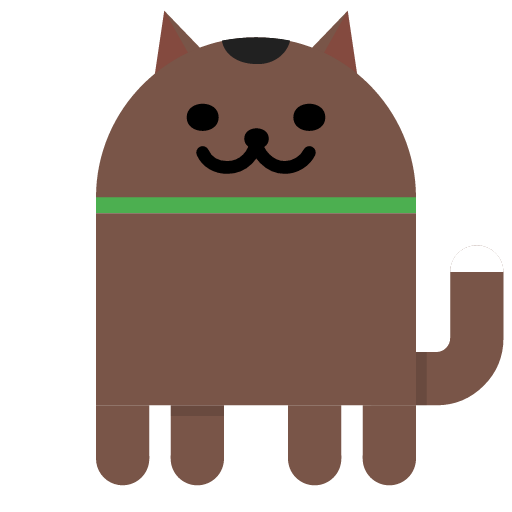 We don’t know if it’s just a random game inside of Android that offers you no controls other than setting out a treat, if there are other actions you can perform to help you catch cats, etc. 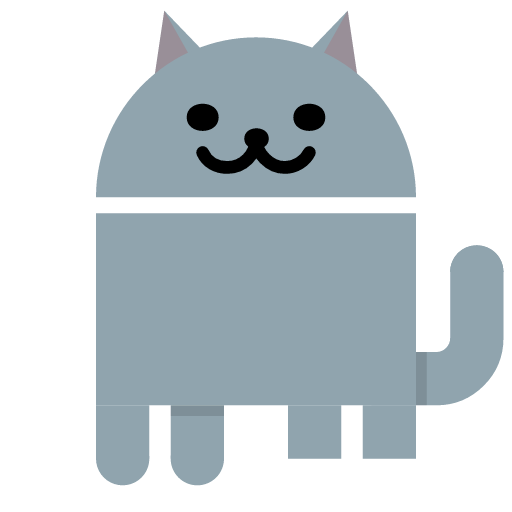 Can there even be anything more to it than just Google planting a silly cat catching game inside of the latest Developer Preview? We don’t know! We need your help. Help us catch cats, dammit. UPDATE 1: Here is Cat #196 from above. Apparently, you get to share your cats. UPDATE 2: This is what it looks like when you catch a cat and receive a notification. Also, by tapping on the cat, you can then share it. 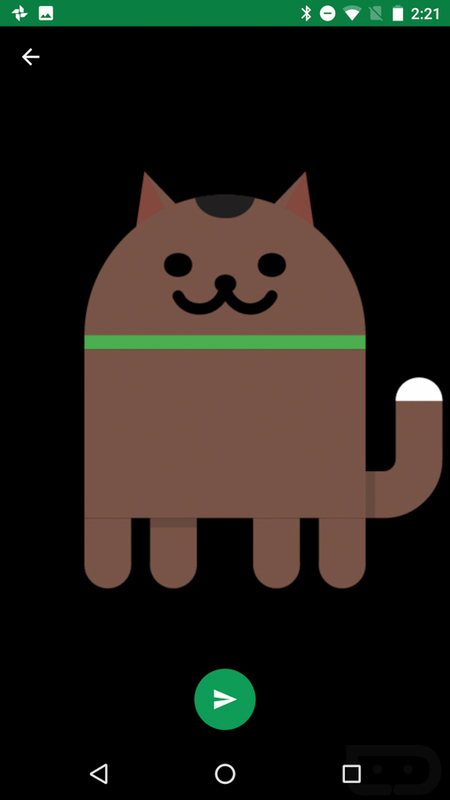 Oh, and that’s a reference to “Android Neko,” aka Android Cat. UPDATE 3: We caught our first cat! Cat #110! 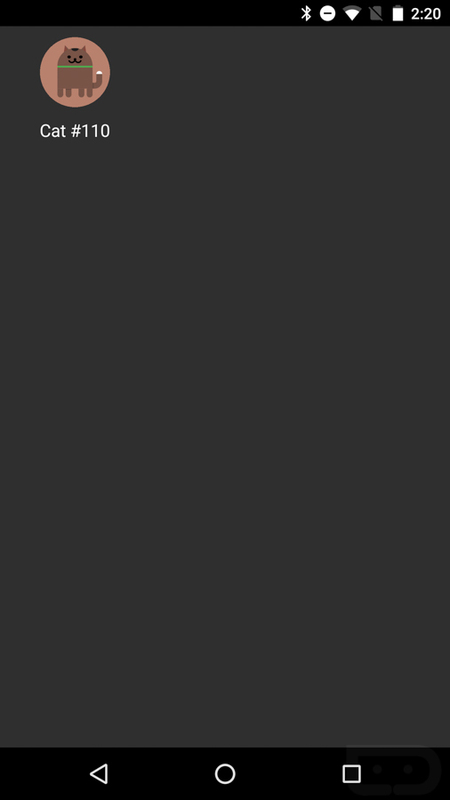 As you catch cats, which happens by putting treats out for them in your quick settings tiles, you receive a notification telling you that you have done so. 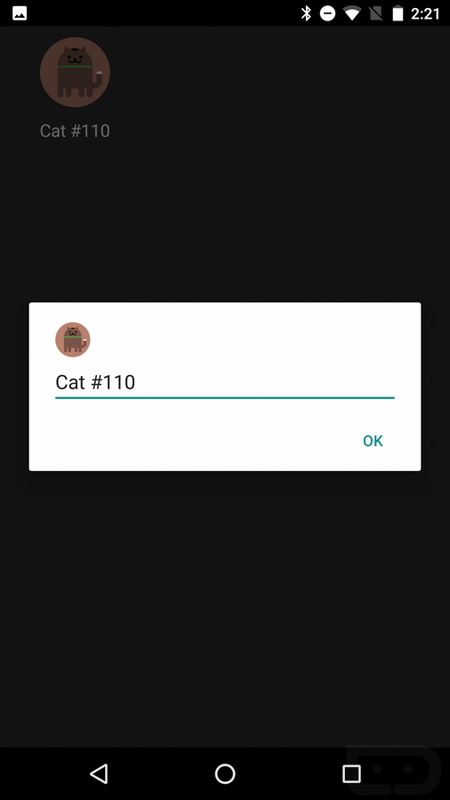 After tapping on that notification, you will be taken to the UI you are seeing below that lists out your captured cats. You can tap on each cat to rename them or long-press to either share or remove them. If you choose to share them, a big 512×512 image of the cat will be created and save to your phone for sharing. How fun. UPDATE 4: As some have noted, this could also just be a play on Neko Atsume, a kitty collector game. I have no idea what that is, hence the comparison to another popular collector game of the moment. But hey, Neko Atsume makes a lot of sense too! We’ll continue to update this post.